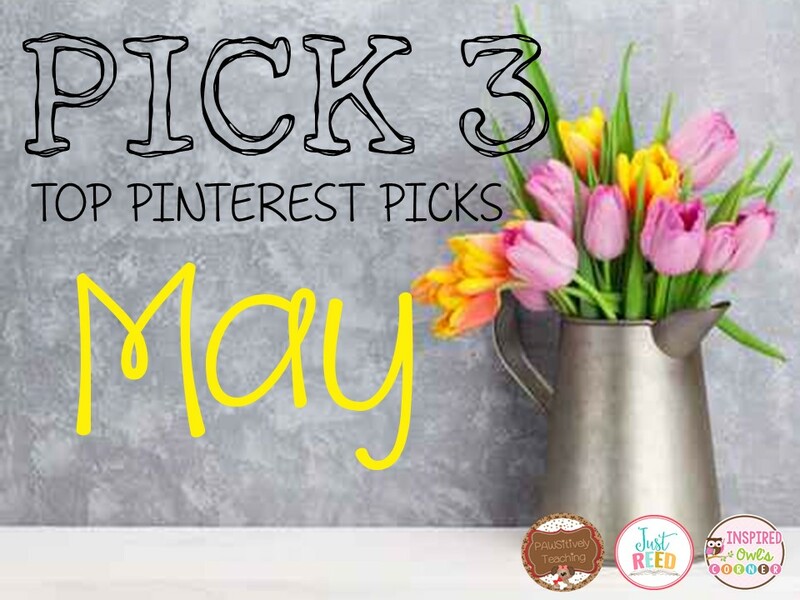 It's time to link up with Just Reed, Pawsitively Teaching, and Inspired Owl's Corner for Pinterest Pick 3- May Edition! This is such a fun linky! This activity is so cute and great for building math literacy for younger learners! I love how this could be easily adapted to meet a wide range of learners/grade levels. The number in the middle could be larger or smaller based on what you're working on in class. The prompts on the stems could also be easier/more challenging depending on what group of students you are working with. This could also be great for fact families. The possibilities are endless! Here's another adorable and versatile flower activity! In addition to working on suffixes as shown, you could also adapt this to practice prefixes, word families, rhyming words...the list goes on and on. Best of all, if you follow the pin to the website, you can download the basket for free! This could be a fun science/art activity to go along with a unit on flowers. Students work carefully to take apart the pieces of the flower, arrange them on the page, and label them. Great hands-on alternative to the diagram in the textbook! Don't forget to look at all the other great ideas below! 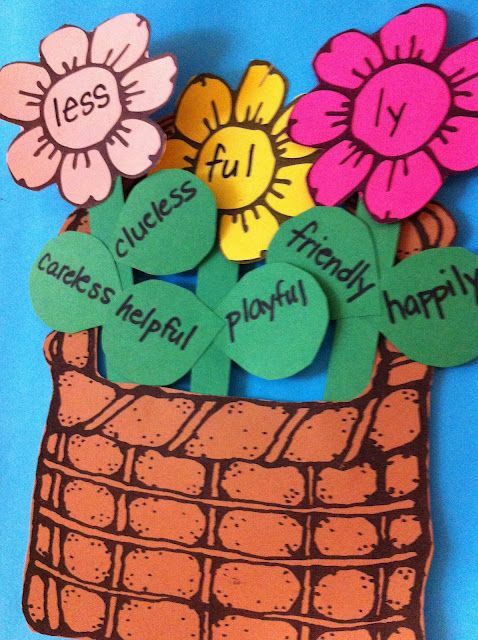 Great suffix spring flowers craftivity! 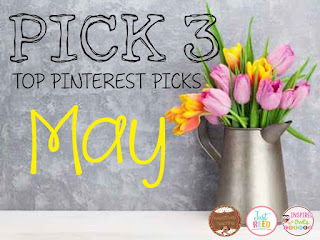 I'm pinning this one to my May Pinterest Board! Have a great rest of the week! Happy Teacher Appreciation week! I know, it's so cute...and free! Thanks for stopping by! LOL...all in the name of science! Thanks for reading! Great idea to use the flowers for fact families! It's too bad we did our multiplication unit in October, but we got to use Candy Corn! It would also be cool to use them for multiplication facts! 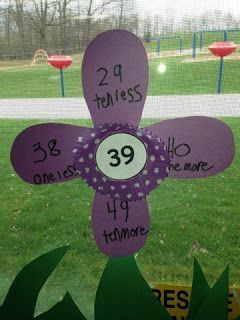 Write a number in the middle and have students write all of the multiplication facts for that number on the petals. There are so many ways to use that activity! Thanks for reading! I love the suffix flowers. So much fun and perfect for Spring--while practicing an important concept! Thanks for linking up with us!! Thanks for hosting! Love linking up with you all! 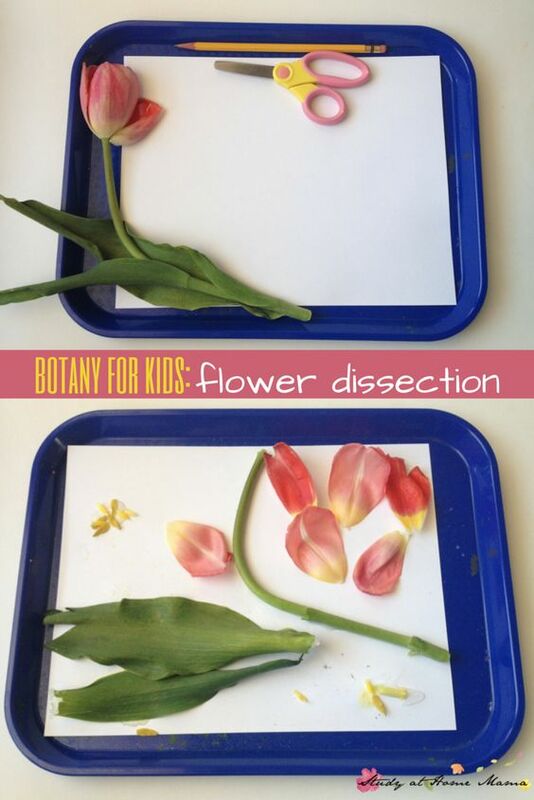 The flower dissection is a great idea for science. I bet some kids were afraid to do it, if they have ever been told NOT to pick the flowers! !ha ha! That's just like kids...you WANT them to do something and they won't do it, lol!